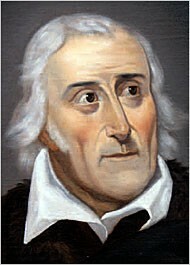 Da Ponte did not worry about consistency in Don Giovanni, but instead swept the audience up in a great story. Charlie Corcoran (Scenic Designer), Camille Asaaf (Costume Designer), David Lander (Lighting Designer), Jean Slater (Choreographer). 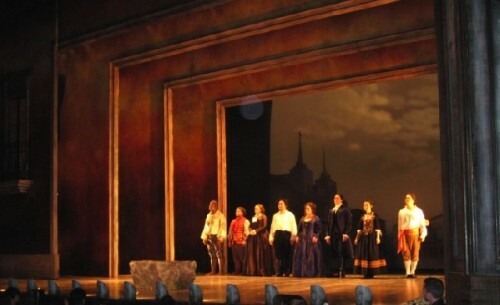 JeongCheol Cha ( Don Giovanni), Ryan Speedo Green (Commandatore), Karen Vuong (Donna Anna), Yujoong Kim (Don Ottavio), Devon Guthrie (Donna Elvira), Alexander Hajek (Leporello). Takaoki Onishi (Masetto), Ying Fang (Zerlina). Surely Don Giovanni is central to opera literature. All the singers on stage will sing its roles over the world over the coming years. We got to know the performers as they came forward, one by one and together in ensemble, to sing directly to the audience. This is the lifeblood of Mozart and works well in a smaller house like the Peter Jay Sharp Theater. The singing was across the boards terrific, but some of the performers stood out. Karen Vuong singing Donna Anna is clearly ready for big time. She has a distinctive soprano, somewhat dark but also delicate. Combining both these qualities is no mean feat, but seemed natural to Vuong's voice. Hoffmann’s short story imagines Donna Anna entering a box in the theater. Vuong gave this intimate feeling as she sang. While the issue of whether or not Donna Anna took a tumble with Giovanni before the opera opens is not resolved, her ambivalence about the encounter which resulted in her father’s death is fully presented by Vuong. The two-pronged emotions which are a large part of the richness of Don Giovanni are often raised in this production, particularly in the orchestra’s performance. Conductor Gary Thor Widow is a Mozart specialist, and led the Julliard Orchestra with a full sense of the opera’s ambiguity. From the start, the orchestra chills and then starts chuckling, as if to tell the audience that we are going to be terrified, but we must not take this too seriously. Like Marlowe and Ben Jonson, Mozart enjoys wrong-footing listeners and Widow captures this difficult musical task with aplomb. The brisk pacing was never rushed. 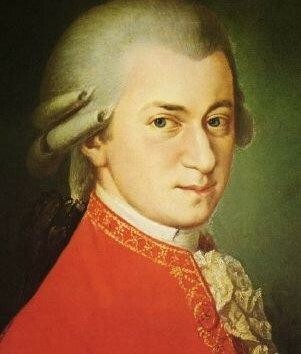 Mood changes, which are swifter here than in any other Mozart, felt natural and appropriately unexpected. Alexander Hajek was a perfect Leporello. His baritone, always precise and moving, created a character who turns from past out to the future, distinguishing himself from the silly aristocrats of the 18th century. Yet he was able to show his admiration of Giovanni’s feats, early on, by displaying a list of 1001 names, like Scheherzade's many tales, and also Leporello's humanity as he responds to Donna Elvira’s plight. Ryan Speedo Green has been the talk of towns all across the western United States for years. In his brief appearance as the Commandatore in Giovanni, you can understand why: His wonderfully rich bass and impeccable movement show a star aborning. Wadsworth chose a stripped down version of the opera. Although broad moments abound, our preconceptions, built up over the years by frequent exposure, are cast aside. We have Don Giovanni exposed beneath a myriad of past interpretations. This seemed like a perfect choice for a student production. The division between master and servant as it erodes in the revolutionary romantic period, the fact that most women are the same in the dark (a not heartening insight) and the images of Donnas Anna and Elvira, and Giovanni and Leporello mirroring each other were cleverly developed. Disguise, so central to the original Da Ponte concept, was underplayed here. The recitatives, in which each singer’s character is rooted, were realized to reveal. Disguises were painfully funny at the beginning of Act II when Elvira’s feeling for Giovanni is mocked. This works because Giovanni is outrageous, Leporello grumbling, and Elvira’s mood swings abrupt but clear. The orchestra provided a running commentary of mockery. This was a wonderful production of the Don of operas.